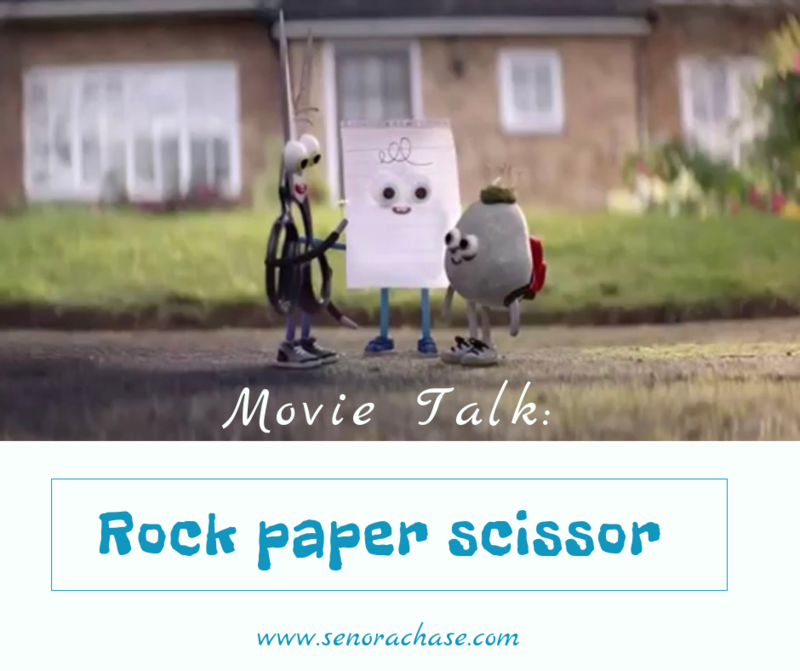 We did Android’s Rock Paper Scissors Movie Talk a few weeks ago in my Spanish 1 class. It’s perfect if you teach a “School” Unit: not only will you get lots of great reps of high frequency verbs, it’s adorable and has a great message to boot! TPR is assigning a motion to vocab words and practicing them…I don’t think it necessarily helps their acquisition BUT it does help them remember words and I count it as a break. Here’s what this looked like. 1. Play with a partner… winner stays standing and looks for another winner to play. Losers are eliminated and sit down. We played until we had a champion. 2. Play again with a partner… winner stays standing and looks for another winner to play. Loser sits down and watches the person that beat him. As soon as that person loses and sits down, the person who was previously beat is back in the game! They stand up and play again. We played for a few minutes then settled back in for Movie Talk. Movie Talk the heck out of this cute commercial! A Movie Talk is just another vehicle for presenting slow and comprehensible input. Describe what is happening, ask questions, make predictions, summarize their responses… don’t feel like you have to mention every single thing in the clip… you don’t want to overwhelm them with new words… just really focus on your key structures and have fun with it. Wanna see it? Well, here you go! Hope that’s something you can use! Oh! And have you heard about Comprehensible Online, the online CI conference, coming Spring 2019!? Yours truly is presenting (along with 21 incredible CI minds!) Want to save yourself $25 at registration? Use code AnneMarie19 and I’ll “see” you there!